Of late we are seeing the rising surge in use of virtual currency - cryptocurrencies and the issue of many Initial Crypto Offerings (ICO) in the market.. The most popular however happens to be Bitcoin and Ethereumn and some more .. We shall try to explain something about bitcoin, the most popular of them. What are the advantages of Cryptocurrencies ? 4. 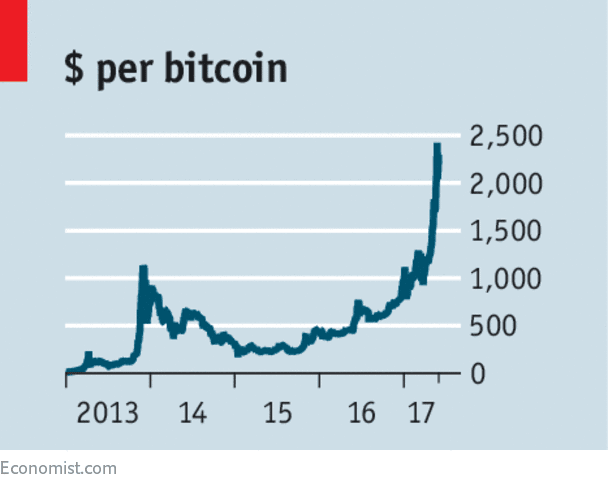 The volume of crytocurrencies in use also increase at a predetermined rate in such a way that the value does not skyrocket at any point of time and holds it within reasonable limits. 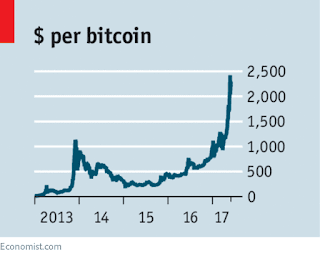 Bitcoins which were issues at $.05 in 2008 are now valued at more than $2420 as of 24 May 2017. 5. It is a global currency, no central bank controls it. The distributed database (blockchain) of the coins and the great secrecy with which it is encrypted makes the database difficult to breach or hack. 7. As digital currencies escape national government regulations, it is a definite pointer to a unified global currency and unified global markets. 8. The extensive range of use and applications of the block chain concept and encrypted digital currencies can ensure stability in global financial markets in future. 9. More popular an encrypted digital currency, more will be its usage and more value will come out of it. 10. The innovative uses of cryptocurrencies and blockchain is limitless, it could even change the way we do business in future cutting across national boundaries. 2. Transaction times can be anywhere from 2-3 hours as databases on blockchain around the world have to be referred before finalising any transaction. 4. Can it be used in the wrong way like for example to finance extortions or drug money transactions ? The coming days will definitely see innovative uses and applications of the concepts of cryptocurrencies and blockchain database across the world. Let us wait for more of it.